Supports chained, parallel and delayed chained payments. The payment can be split to the vendors through admin or mutually between admin and vendors. Supports instant payment transaction. The transactions are done at a rapid and instant manner so that there is no need for waiting like before. 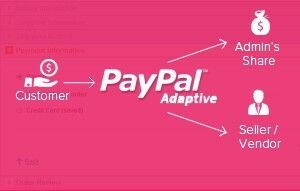 Automatically splits the payment between the owner and multi-vendors. Thus, there is no need for manual efforts or reminders. Payments refunds are made promptly and effectively with ease such that it benefits the customers. The refunds if any are done as soon as possible in a quick manner. I used to meet so many payment issues while handling the payment process. Good support. Split payment methods for Magento store is a great feature and it made everything easy.